Few things are as annoying as a broken garage door opener that doesn't keep your car, home, and belongings safe. When you face this type of obstacle, call our repair experts. We respond quickly and can take care of any problem with the system operating your doors. Our technicians undergo constant training to keep up to date with the changes in the market. Garage door opener mechanisms evolve constantly, making them more sophisticated. We are keen on keeping our knowledge up-to-date to serve our clients. The market for garage door openers has transformed in recent years. 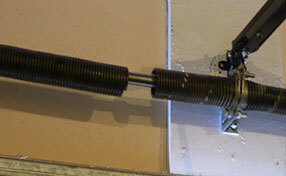 Some decades ago, systems were fairly simple: Springs operated a counterweight and helped you lift heavy doors. Nowadays, door openers operate automatically and only the safety features require most of your attention. One of the most important of these features is the automatic reverse function and not only do our experts know how to identify a potential problem with that feature, but they can fix it quickly as well. You can check your door with a large roll of paper towels. If the door fails to rise upon contact with this roll, it is time to call our technicians. They will check your equipment and tell you what you need to do to keep your loved ones safe. It is possible that your door opener only needs calibrating. However, sometimes it is better to replace a faulty operator. Our company has built an excellent reputation over time. We always take your budget, needs and security into consideration. Our experts can offer advice if you are deciding on a brand for your new door. Don’t hesitate to call us when upgrading, there are many aspects to consider when choosing a model or brand, such as the power of the motor. Most doors made of aluminum require a ½ hp engine. Solid wood might call for a ¾ hp motor. Security features are not only important for avoiding accidents, but also for keeping unwanted guests out of your home. 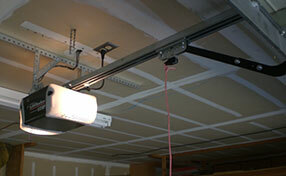 Automatic lights and strong locking mechanisms are crucial for all garage door openers. A backup power source comes in handy many times, but tends to be a bit expensive. Maintenance is vital to keep your system running smoothly. Springs, cables, rollers and counterweights operate together. This requires regular lubrication with adequate materials. Our technicians know whether to use spray silicone, oil or white lithium grease. Before your garage door opener breaks down, it usually gives some warning signs. Call us when you hear a noise or your door seems to strain. Garage Door Repair Roseville is there for you always.